Dare I say it but I think Spring is on its way. We've had plenty of sunshine this week although I had to admit it but that isn't really reflected in this weeks project 365 photos. This has been a busy week filled with mother's day assemblies, parents evenings, parties and sleepovers. I was happy to hear that both Gracie and Freya are doing really well at school well on target to achieve the goals set for them and plenty of time to exceed those targets. Elise's teacher was off sick so I'll have to wait to hear how she is getting on. Hubby was back on nights so I made the mistake decision to let the older two have friends sleep over Friday night, I even had an extra friend round to play for a couple of hours, that was 7 kids in total at one point, 7 girls to be precise, think make up, one direction and princesses!! The girls and I still weren't 100% so it was a lazy day after a busy day on Saturday, not sure how this was comfortable for Freya!! 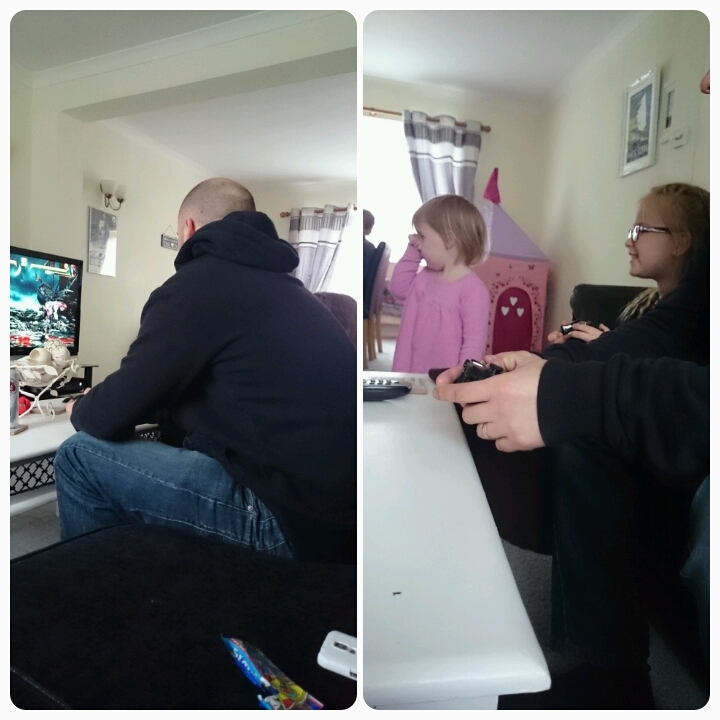 Daddy challenged the girls to a game of Mortal Kombat on the XBox, Gracie nearly defeated him again!! 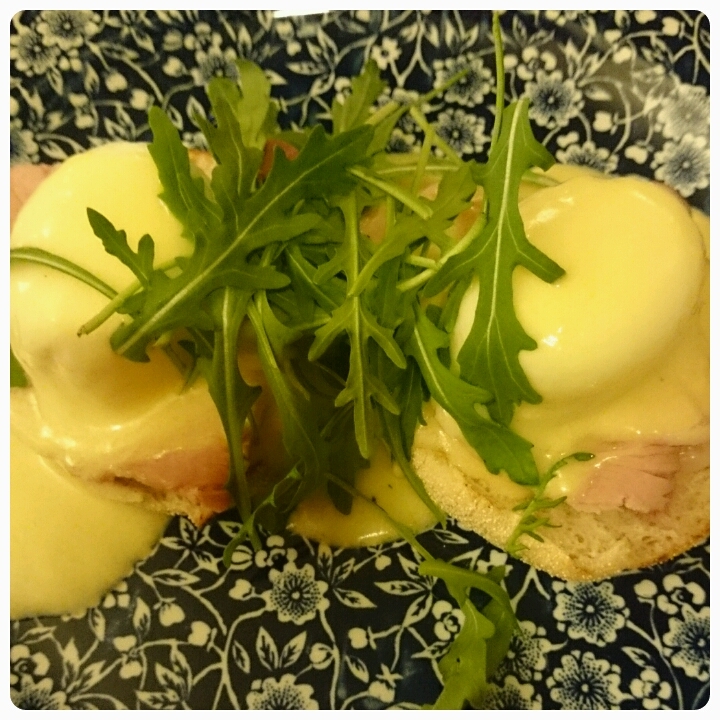 Girls were at school and Layla was at playschool so I got treated to breakfast out. Her hair is finally getting longer, we have bunches!! There was a little Sofia book club party going on in our house, I caught a photo of Layla and Gracie and I happen to think they look adorable. Red nose day. The girls had to dress in their onesies for school and of course Layla had to join in too. 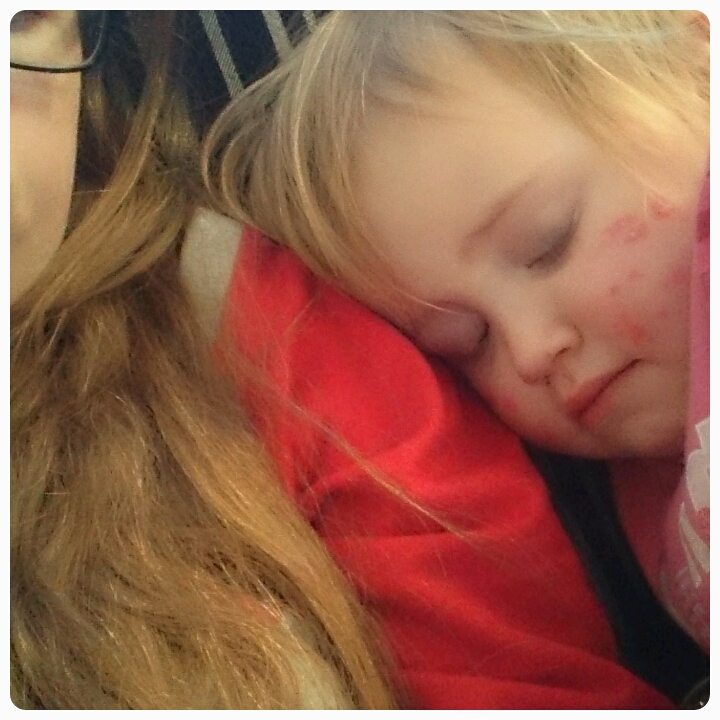 Poor Layla, poorly again, it just seems never ending, this time a sore throat and ear ache. She woke up only to go back asleep again. 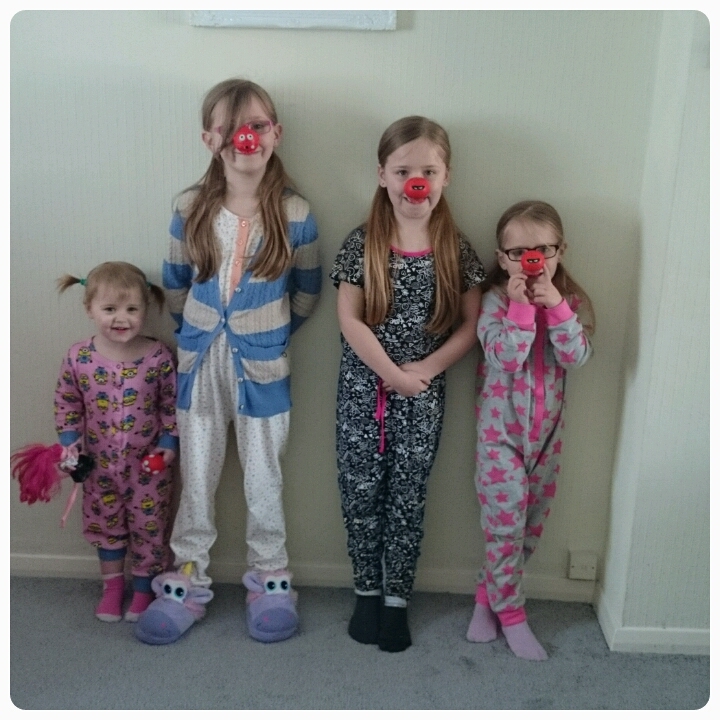 Love the four of them in their onesies complete with their noses. Poor Layla, I hated it when they got one thing after another. Great colour dresses and they are adorable. Lovely photos! 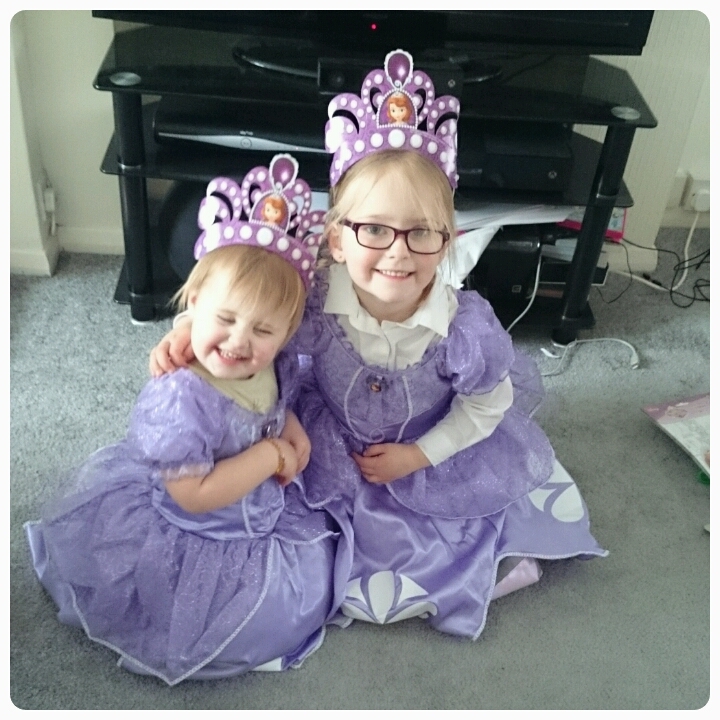 Two princesses are super cute and so is the Red Nose day picture! 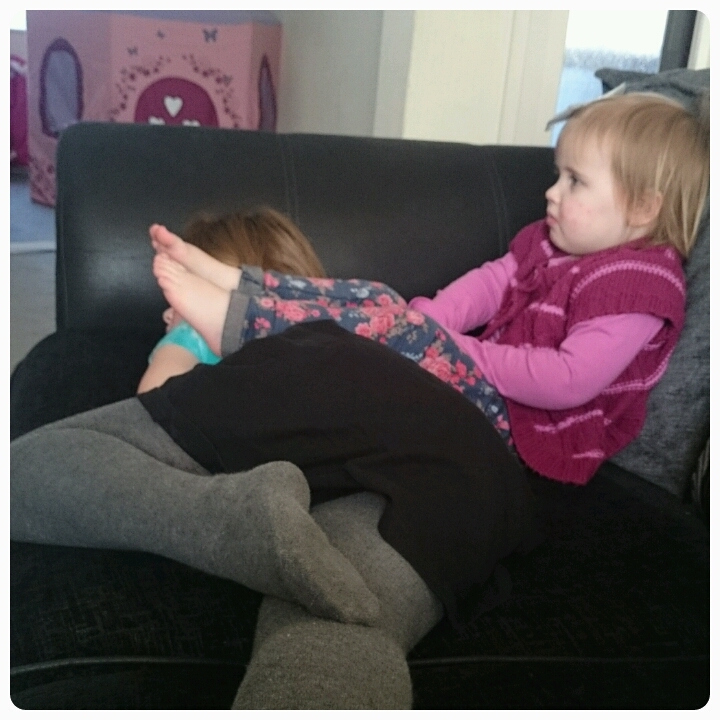 And I chuckled at the 1st photo, my little man does the same, using the others as a comfy seat without a second thought, if it's comfy for them or not. Hope the little one is feeling better soon! So many bugs going about just now. Loving their RND dress up! 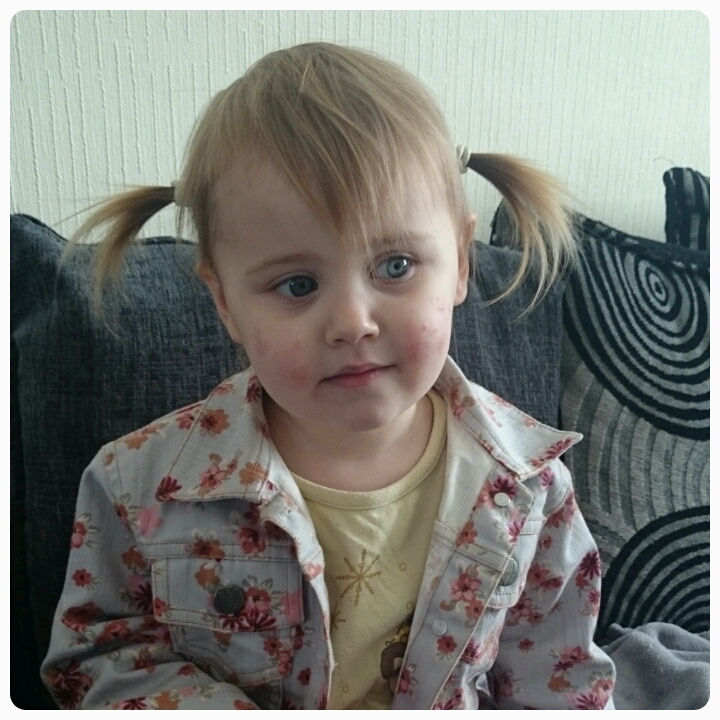 Bless the little lady she really is suffering with illnesses recently.